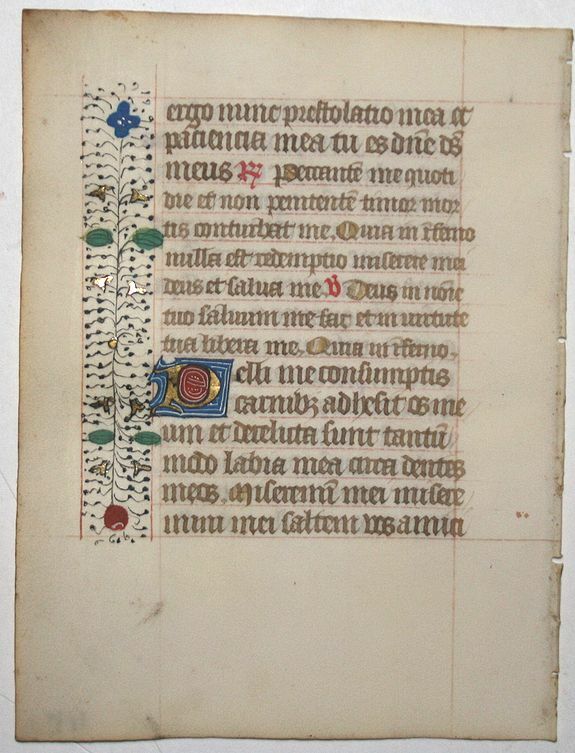 Description :Leaf on vellum from a French Book of Hours, written around 1470 in or near Rouen. The decoration on the verso has flowers and leaves in bright colours and gold. There is one large initial with blue, white and gold. The text is written, in Latin, in a regular book hand in 2 sizes, in brown ink.